Experience the rich, dark, warm sounds of the legendary K Zildjian cymbals. The "dark side" of Zildjian cymbals will enhance any style of music. 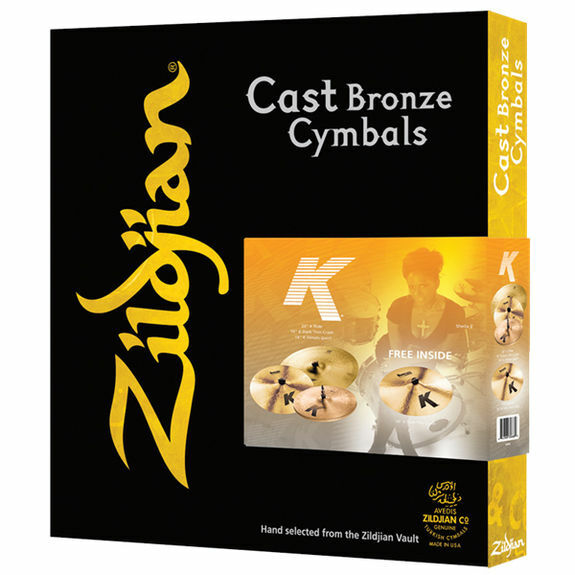 These essential cymbals are a great way to start, or expand, your K Zildjian collection. Included in the set: 14" K Hi Hats, 16" K Dark Thin Crash, 20" K Ride, and value added 18" K Dark Thin Crash.